In industries where every measurement counts, we add an extra degree of precision and quality to your product. 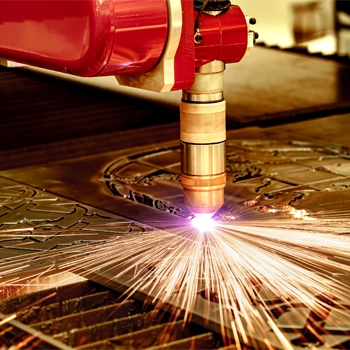 Our advanced plasma cutting technology enables better cutting through metal with less edge bevel and virtually no dross. Over the past 20 years Carver has profiled material up to 200mm thick using the Oxy Fuel Gas process which has turned out to be a great success. During this time we have produced a high quality profiling service, which has helped us produce some outstanding results. Whilst this process has its advantages it also has certain disadvantages which can increase labour activity during other areas of production. As a result we have taken the decision to enhance our offering by investing in state of the art plasma technology. This will enable us to be far more efficient with in-house production and help meet our client’s expectations as well as reduce our environmental impact. In recent years projects have become more demanding both in terms of budget and programme. We feel that this investment will help us pass on cost saving benefits and improve project lead times. Plasma CNC machine based on 18m x 3m water bed (CAD/CAM Programmed. We are pleased to announce that due to these enhancements that we now able to offer a high quality, sub-contract CNC Plasma profiling service that operates 24/7 five days a week. Upload your artwork if you have it We can accept: DXF, DWG, AI, CDR, PDF, JPG (Engraving only), BMP (Engraving only). Copyright © 2014 Carver Engineering Services Ltd. Site designed by Bubble Design.